January 24th 2017 @ 7:30 p.m.
Join us for a screening of a selection of Palestinian shorts and documentary's which explores Palestinian embroidery, the impacts of dependance on foreign aid, a brave boy Yazan and a lesser known history of Bangladeshi fights in the PLO. Shorts will be screened one after another for one single seating. Seating is on a first come, first served basis. Please come early to avoid dissapointment! A photograph circulates, showing five men staring out of a window. Actually, only four look out; the last man breaks protocol and looks at the camera. The light has a soft glow. The stage is a bombed building. All five men wear military fatigues; the color must have been olive green. Snapped by a Magnum photographer in 1982, the image is a teasing enigma. Arabic newspapers claim it as evidence of Bangladeshi fighters in the PLO (Fatah faction). Go a little deeper into the memory hole and sediments will darken the third world international. Still, the light was beautiful. 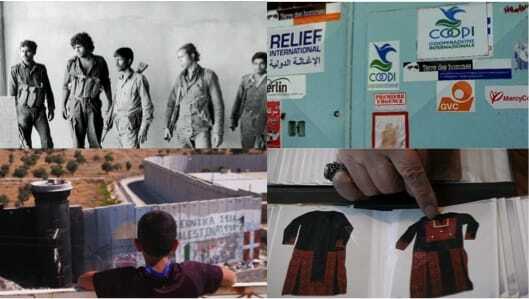 The Embroiderers documents the stories of six women working with Palestinian embroidery today: Umm Ibrahim (Amman, Jordan); Wahiba Mohammad Ali Tawafsha (Sinjil, Palestine); Raja Sabri el-Zeer (Salfit, Palestine); Suhair Odeh (Dheisheh Camp, Bethlehem, Palestine); Nawal Mahmoud (Saida, Lebanon) and Maryam Malakha Abu Laban (Amman, Jordan). 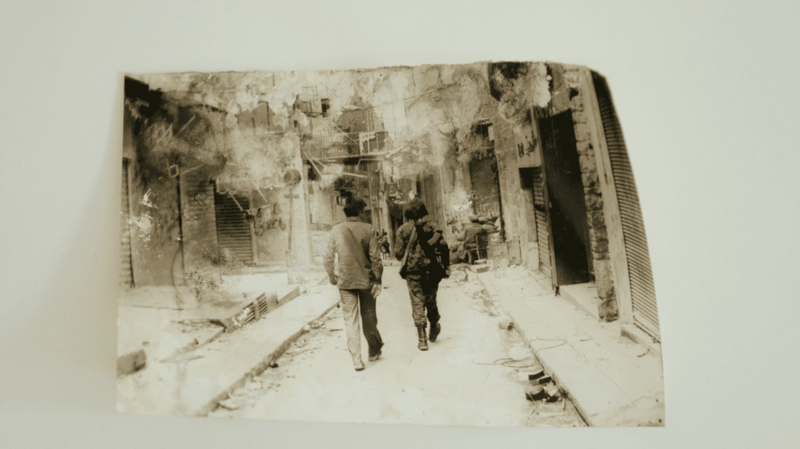 Through personal accounts, the film explores the significance of this intimate and deeply political material and how it continues to give form to ideas of Palestinian heritage, history, labour and resistance. 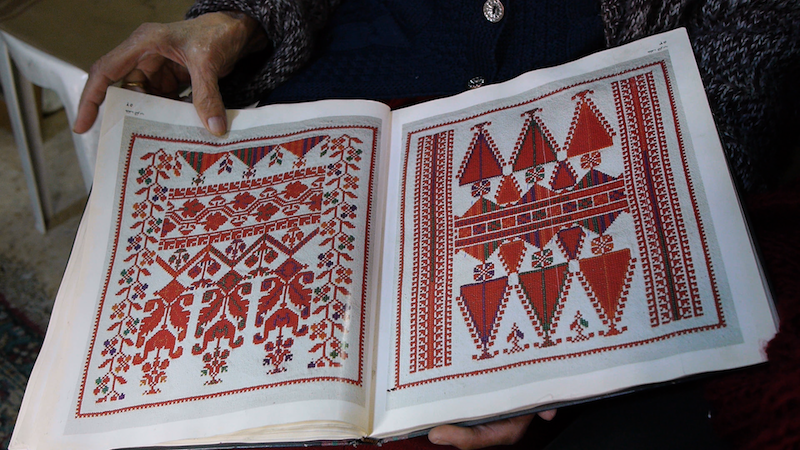 The film returns throughout to Umm Ibrahim’s hands turning the pages of a book of Palestinian embroidery designs. Every set of designs denotes a different town with its own unique colours and motifs, conjuring the landscape of Palestine with each stitch. Commissioned for At the Seams: a Political History of Palestinian Embroidery, curated by Rachel Dedman for the Palestinian Museum, 2016. 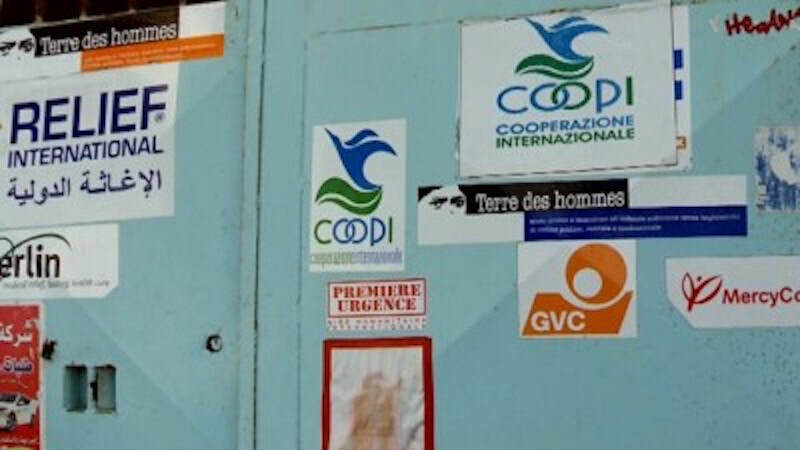 Donor Opium takes a critical look at the impact of the last 20 years of international aid to Palestinian communities in the occupied territories. 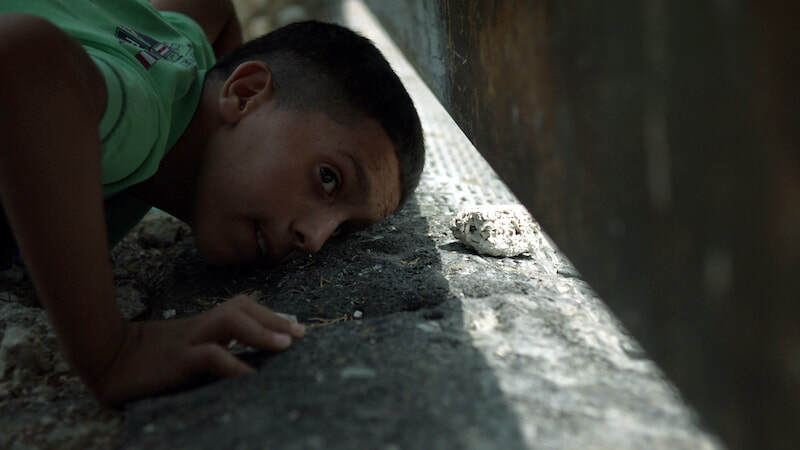 The film explores whether the declared goals of all the support—peace and the establishment of a democratic Palestinian state—have in fact been its actual result, or the exact opposite. Soldiers who throw tear gas at you, keep an eye on you everyday and even burst into your home and take your brother ... Yazan has experienced this. He lives in a Palestinian refugee camp, with a big wall around it and watch towers. Yazan wants change, but how? Though the Israeli soldiers at the Wall are not listening to the children, they are watching. Together with his friends Yazan makes a poster with his story. They want to hang it on the most dangerous place in the camp. Near the soldiers. Will they succeed?